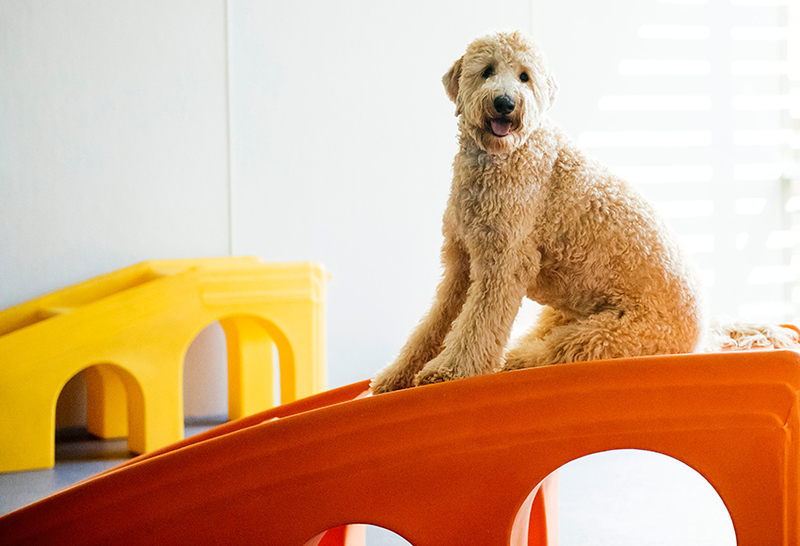 Give your four-legged family member the five-star treatment at our open play dog daycare, boarding, and spa facility. We’re the best place in Temecula to spoil your pup! Our knowledgeable and personable team is trained in providing both dogs and their pet parents a safe, healthy and fun environment. Favorite Activities: The care and love he gets from the staff! Most Lovable Qualities: How soft and cuddly he is! What pet parent doesn’t feel guilty about leaving their pup home alone? Balance your life while we balance theirs at Dogtopia. Whether you’re planning that next vacation or just trying to avoid that sad puppy face when you leave your dog home alone, we provide fully-equipped dog daycare and boarding services. 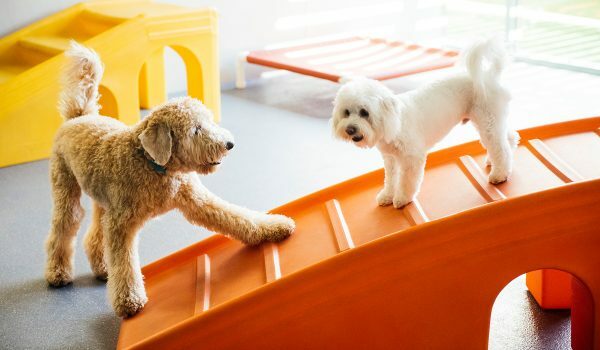 At our daycare, your dog is assigned to a playroom based on their size, temperament and play style to ensure that everyone plays safely, and they get to hang out and play with their friends for up to 10 hours a day. Is your pup starting to get a little stinky? 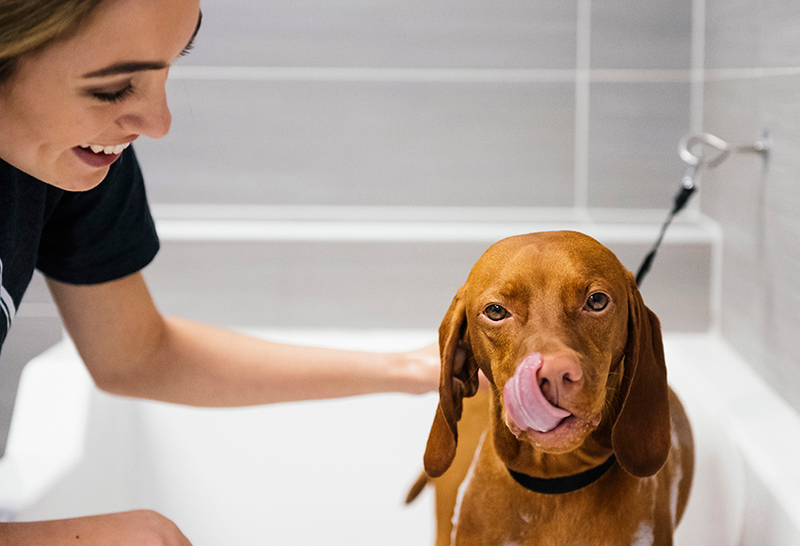 Skip the mess and stress of bathing your dog at home and bring them to our full-service spa. We have spa appointments, or you can create a combo day of play and beauty by combining their time in the spa with a daycare or boarding package. We recommend that you bring your pup to Dogtopia of Temecula for a visit if you’re planning to board them with us for a day or a weekend. This gives them a chance to get used to our facilities and team. As a bonus, we provide a free, no-obligation tour of our space so you’ll feel comfortable leaving them with us when the time comes. If you want to schedule a visit to our daycare center, please call us at (951) 703-1781 and let us know when we can expect you. We can’t wait to get to know you and your dog, and show you everything we have to offer! When we designed our space, it was with our doggie clientele in mind. 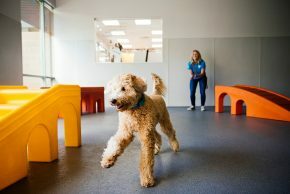 The playrooms are all climate-controlled with flooring made of compressed rubber, a material that is easy on dog’s pads. This greatly benefits dogs suffering from hip dysplasia and other bone and joint conditions because it’s a soft walking surface. Plus, our special rubber flooring means you don’t have to worry about your housetraining being impacted in any way. You can check in on your pet anytime during the day via our live webcams, which are installed in each of our playrooms and can be accessed from any device with an internet connection. The webcams allow you to watch your dog throughout the day and ensure they are having fun and making new furry friends. Our playrooms are staffed with our wonderful dog care professionals who are dedicated to ensuring your dog’s safety. 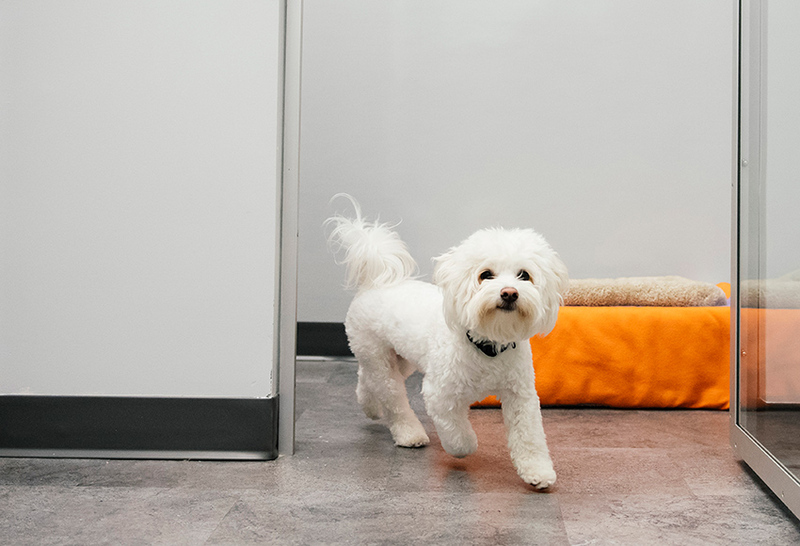 Dogtopia of Temecula’s room attendants go through rigorous training in dog behavior, so they know the language of dogs and how to safely care for more than one pup at a time. 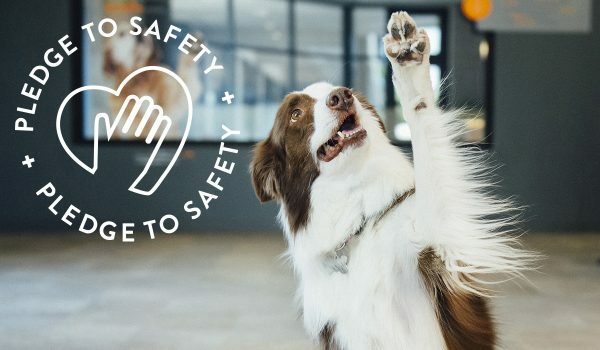 We want to make sure your dog is safe. After all, dogs need to be safe before they can have any fun! When you’re ready, simply fill out our contact form to schedule your dog’s day or overnight stay at our facilities and our team will take care of the rest. Don’t forget to come prepared with any food, medication or bedding your dog may need. When you come and get your pooch after your busy workday or vacation, they will be happy and content from all the play with their BFFFs (Best Furry Friends Forever). No two dogs are the same. 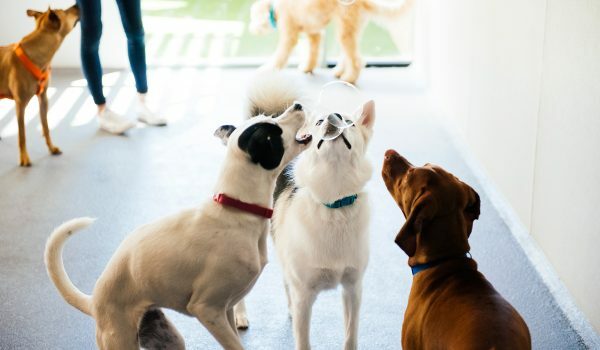 At Dogtopia of Temecula, we take the time to help you determine which of our daycare, boarding and spa services will best suit your dog’s needs as well as your own. 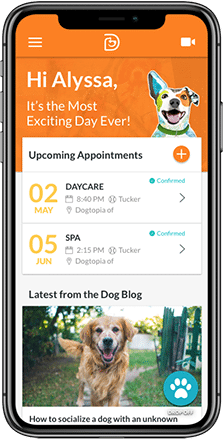 Once you’re ready to schedule your dog for our daycare, boarding or spa packages, or if you have any questions, feel free to contact us and our team will be more than happy to answer all your questions and help you determine if Dogtopia is a right fit for your pet. You also have the option to download our enrollment form here.